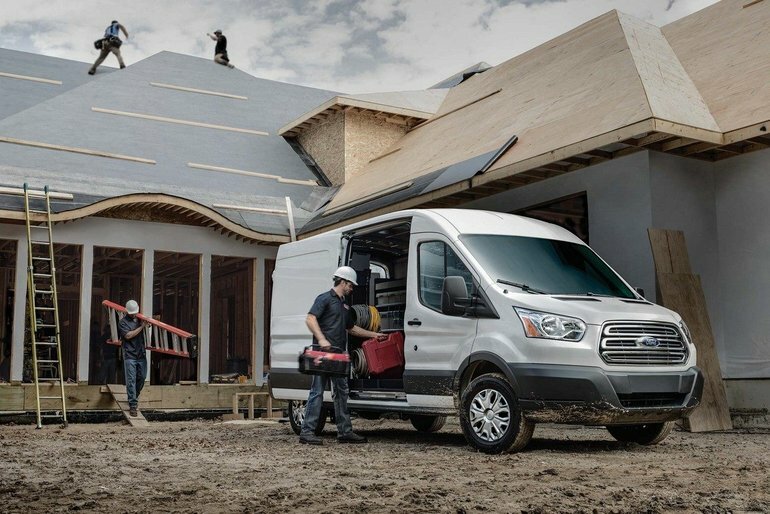 When it comes to getting the job done right, Ford’s commercial vehicles are top of the line. With eight different models, Ford has a commercial vehicle that will fit your specific need. Bartow Ford, your Lakeland area Ford dealership, can help you match a vehicle to your exact requirements. Experience power with the Ford Torqshift HD 6-speed automatic transmission. This engine can easily handle the heavy torque of both diesel and gas engines. Whether traveling uphill or downhill, this engine prevents upshift and increases in speed while reducing brake pressure. With high-strength, military-grade, aluminum alloy, the Super Duty lets you reinvest weight savings in a stronger, high-strength steel frame and chassis components. Whether it’s a tough job site or off-road terrain, the Super Duty can haul more, tow more, and tackle your toughest jobs. The Super Duty Chassis Cab doesn’t take durability over the long haul lightly. With 12 million miles of testing, this vehicle provides hauling and towing capability that you can depend on. This van is designed to transport people comfortably and efficiently. While the standard configuration comes with seating for two, there are various seating configurations that can accommodate up to 15 people. The Transit Passenger Wagon offers three engine choices, different body lengths, and various roof heights, making it perfectly customizable for your needs. The Transit Chassis Cab means business. With seating for two, it has a payload capacity from 9,000 lbs. (single rear wheel) all the way to 10,360 lbs. (dual rear wheels). It also comes equipped with Ford Telematics and Ford Data Services — software designed to ensure your operation’s success. Market your business with a mobile business card — the Transit Connect Cargo Van. With the opportunity to choose from pre-set templates and graphics, your van can do more than just carry cargo. Visit Ford Commercial Graphics for more information. The Cutaway series, which is great for moving cargo or transporting people, is designed for comfort. Easy to get into and easy to get out of, it provides firm and supportive seating and includes ergonomically-designed instruments and controls. Delivery vehicle? Check. Food truck? Check. Motorhome? Check. The Stripped Chassis can do it all. With a 6.8L Triton V10 engine standard in all Chassis models, the E-350 and E-450 models are rated at 305 horsepower and 420 lb.-foot of torque. If you’re in the market for a new commercial vehicle, you could save money through the IRS Section 179 deduction. This tax code allows you to deduct up to the full purchase amount from your gross taxable income (on qualifying equipment). 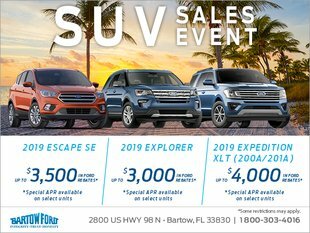 For more information, contact Bartow Ford, your Lakeland area Ford dealership. You can contact us online, or give us a call at 800-303-4016.